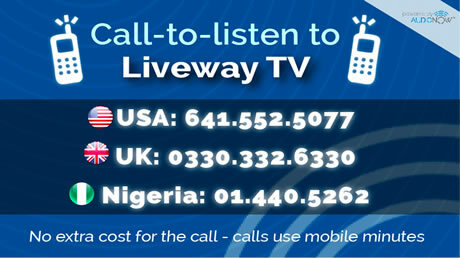 Liveway Radio reaches the whole world. If you have products, service andmajor event announcement, Liveway Radio is an ideal platform to promote your special events. Call: 0708-442-8216 for how you can place your valuable products and services in from of our teaming listeners and viewers during our coverage of Oct HGS. Liveway studio can produce your video and audio promos, voice overs, narratives, jingles and graphics for any event. For a limited time, see these specials. Liveway Radio is pleased to announce our affliation with Moody Radio Network, and our listeners now haveopportunity to benefit from the wealth of programs produced from Moody Studio in Chicago ILL, USA. Liveway Radio now airs selected programs from Moody Radio, programs Like Stories of Great Christians, Fables of Faith, Moody Presents, Adventure in Drama, New Songs, Moody Radio Theater, Today in the Word and Today in the Word devotional. 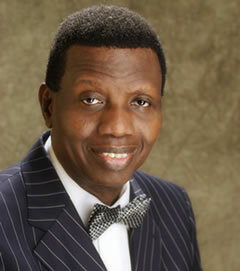 As you listen, the Lord continue to bless you and prosper you in Jesus name. O ne of the best ways to listen to LivewayRadio is through our apps on Google Play and IOS. If you have not already done so, download and install our free app today to always enjoy fresh inspiration from Liveway Radio. Let me take this opportunity to ask that you pray for our staff members and remember to support us whenever you can. We do sincerely appreciate you. So, while don't you lift your hands to the God of joy and just bless His holy name. He's worthy, He's worthy, He's worthy to be praised. Please accept our thanks in Jesus' name. 14And the Almighty God speaking to someone here tonight and He say "thou shall be blessed above all people; there shall not be male or female barren among you, or among your cattle. 15 the Lord will take away form thee all sickness and will put none of the evil diseases of Egypt, which thou knowest, upon thee; but will lay them upon all them that hate thee"
There are some people here tonight, that people have been calling barren, the good news is - it is people who said so, not God. So, next time somebody looked at you and say you are barren, tell him you are the one saying so, not God - God says 'I am not barren'. When the Angel came to tell His mother that she is going to have a Son in Luke chapter 1 verse 26 to 33. He told her the Baby you are about to conceive is going to be great - that is good news for someone here already straight away. The announcement of His birth - good news. In other words, there is good news for someone here tonight, it doesn't matter what you are going through - All will be well. Act chapter 1 verse 8, says power is coming - you shall receive power. In Act chapter 1 verse 9 to 11, the Angels said to the Disciples - the said hey, hey, they said don't worry, you see Him going, He is coming back. But a particular day, as she was praying, the man of God noticed her, and said to her in verse 17, my little girl, don't weep anymore because your prayers have been answered. In Judges chapter 13 verse 1 to 5,...and then because the Holy Spirit is moving so mightily, I didn't even have time to comment on the Preacher who preached before me. That was fantastic, isn't it? I don't know how many you want but as many as you want receive in Jesus' name. When the man of God said to her that she will have a son within a year, she didn't believe. There may be one or two people here tonight saying, why they didn't have a service like this twenty years ago, thirty years ago, when I still have hope. Well, she came to one Holy Ghost service like this and the word came that 'there is someone here they told you, you can never have a child, but God asked me to tell you, you have a set of twins'. She went to the hospital for test, I think she went for test after about three month because she didn't believe at the beginning, the Doctor said I don't know how it can happen but you are pregnant, and I can see a child in your belly. The Doctor well said don't let us argue, I don't even know how you got one anyway. Two month or so later, she went for another check and the Doctor said ha! I don't understand this but there are two in there now. And when she delivered, it was a set of twins - two bouncing girls. There is someone here today, it doesn't matter how impossible it may sound, by August next year, you will bring forward your twins. It was 1981, one of my daughters came to me and said please daddy I don't know what to do. If I don't sign Mama is going to be totally blind in a matter of weeks. She had good news that says to her - your poverty ends today. And suddenly God told me... yea if you want to clap you can go ahead and clap. You won't even believe me if I tell you the story - what God is doing there, it is unbelievable. He said the second one is to be shared between God and the Fellow - fifty: fifty. And she came with an amount of money that was over a hundred thousand naira - a lot of money then. I said, I am sorry ma I can't take this money from you. I collected the money - I am confessing to you, I didn't touch it at all, I just kept it somewhere. The day she met Jesus Christ and Jesus said to her, woman, thou art loosed - she was loosed immediately. Do it just for the funny if it - breath in and breath out. Let me round because God want us to spend quality time in prayer tonight, because He's going to answer our prayers. Jesus said, in my Father's house there are many mansions. And that is what I have always told my children - glory be to God. And I will see you in heaven in Jesus' name. I have always told my children, if I die don't let anybody told you that a witch killed him.